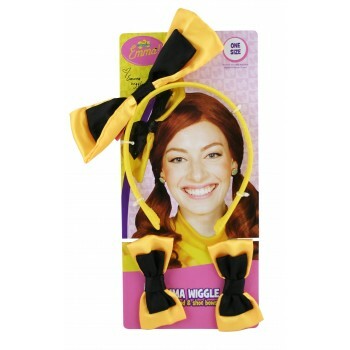 Complete your Emma Wiggle look with her trademark headband with attached bow, and matching shoe bows accessories for kids. 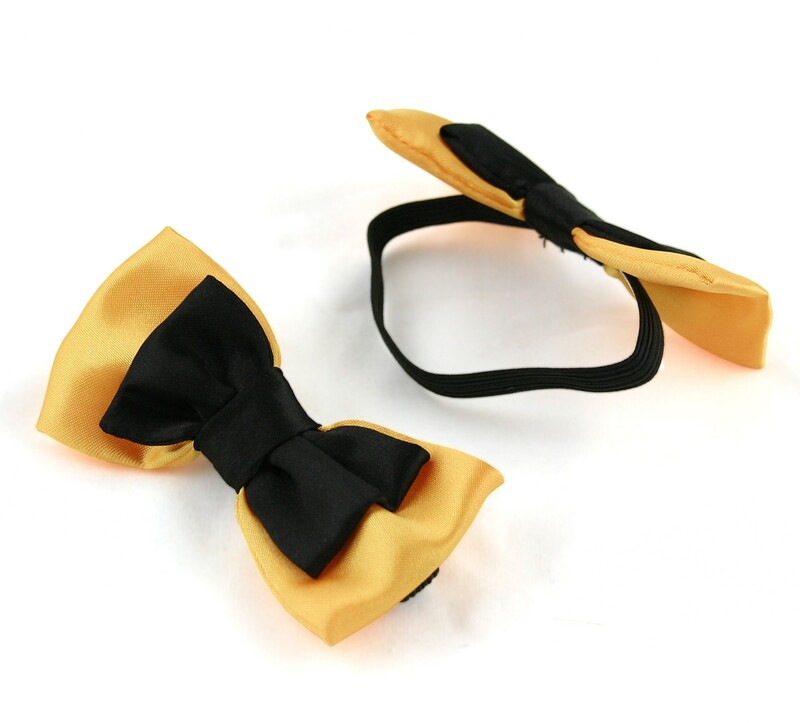 1 x yellow headband with attached yellow and black bow. Large bow measures 15cm long. 2 x matching shoe bows with elastic to hold in place. Each small bow measures 8cm long. Does not include top, belt, skirt or shoes. This product is recommended for children aged 18+ months. 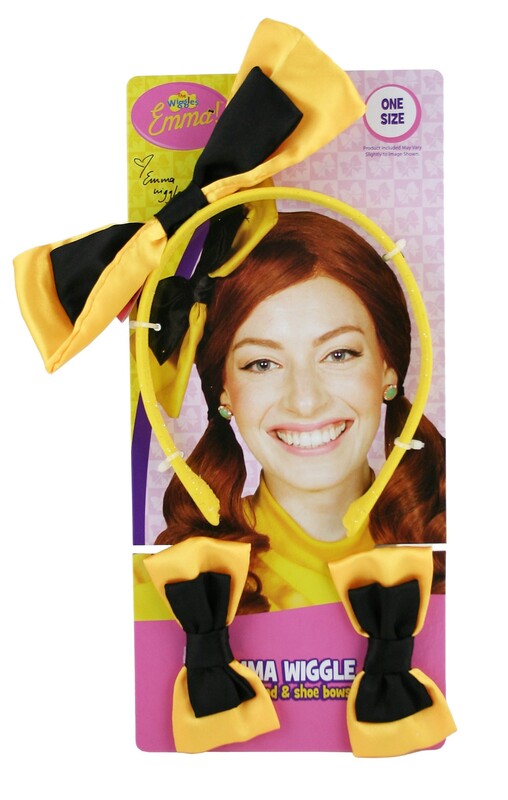 This product is officially licensed by The Wiggles.